Tuaca Liqueur is a popular vanilla liqueur that has roots dating back 500 years to the time of Lorenzo the Magnificent. The legend is that this patron of Italian Renaissance arts enjoyed this liqueur and it was lost until 1938, when brothers-in-law Gaetano Tuoni and Giorgio Canepa revived the recipe, naming it using a combination of their own surnames. Tuaca saw a rise in popularity during World War II. Soldiers found the liqueur to be one of their favorites while in Italy, and when the Americans returned home they found that they missed it. It was in 1950 that the first bottles of Tuaca were imported to the United States and it has been rather popular, though sometimes forgotten, ever since. 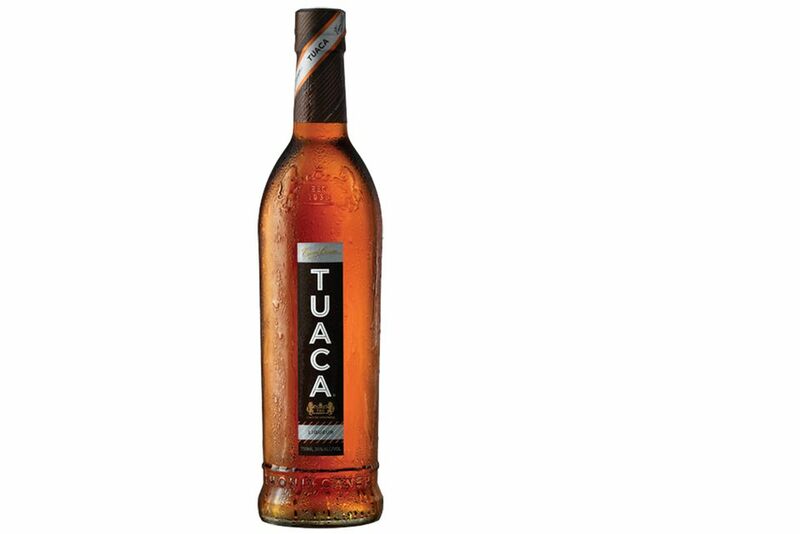 Today, Tuaca remains a favorite liqueur for many and in 2012, the company expanded their line to include Cinnaster, the same great vanilla-citrus brandy base enhanced with a seductive cinnamon flavor. The recipe for Tuaca Liqueur is, of course, a guarded secret. What we do know is that it begins with a blend of fine Italian brandies, aged between three and ten years. The brandy is then flavored with vanilla and Mediterranean citrus essence. The result is an amber-colored liqueur that is lightly sweetened and exceptionally smooth. The vanilla of Tuaca dominates the flavor profile, though the citrus notes make this one stand out from other vanilla liqueurs. This unique taste should be taken into account when using Tuaca in cocktails that call for vanilla liqueur. Though the citrus aspect is minuscule, you may want to cut a little of the citrus ingredient should a drink call for both ingredients. Tuaca is often served chilled and straight, either as a sipper or a shot. It also makes a nice flavor additive in coffee and hot apple cider, with the Hot Apple Pie being one of the more popular drinks. Italian liqueur with a brandy base, flavored with 100% natural vanilla and Mediterranean citrus essence. Tuaca is now produced in Louisville, Kentucky by the Tuaca Liqueur Co. Up until 2010, it was produced in Livorno, Italy. In late 2012, Tuaca Cinnaster was released. This liqueur builds on the vanilla-citrus brandy base of the original Tuaca, adding a sweet cinnamon profile that now is now the dominate flavor. If you enjoy cinnamon-flavored distilled spirits, this will quickly rise to the top of your list of favorites. It is a seductively sweet liqueur, that is not overly sweet and the blend of flavors is unprecedented. As with Tuaca, Cinnaster is perfect for serving straight and chilled. Shake this one up and serve a round of shots or serve it as a simple highball topped with ginger ale. It is surprisingly versatile and can be used as a substitute for other cinnamon liqueurs and schnapps. Italian liqueur with a brandy base, flavored with 100% natural cinnamon and vanilla.